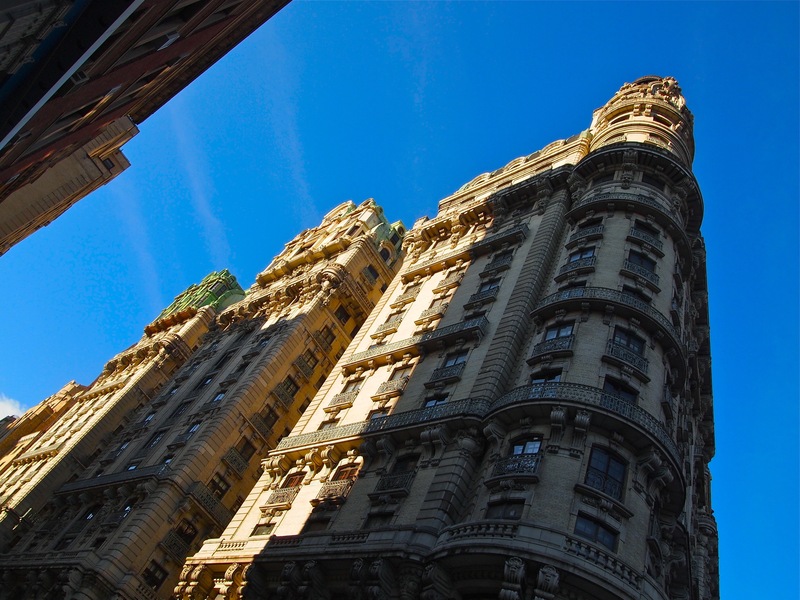 The amazing Ansonia building spans Broadway between 73rd and 74th Streets. Babe Ruth, Enrico Caruso, Igor Stravinsky lived here. 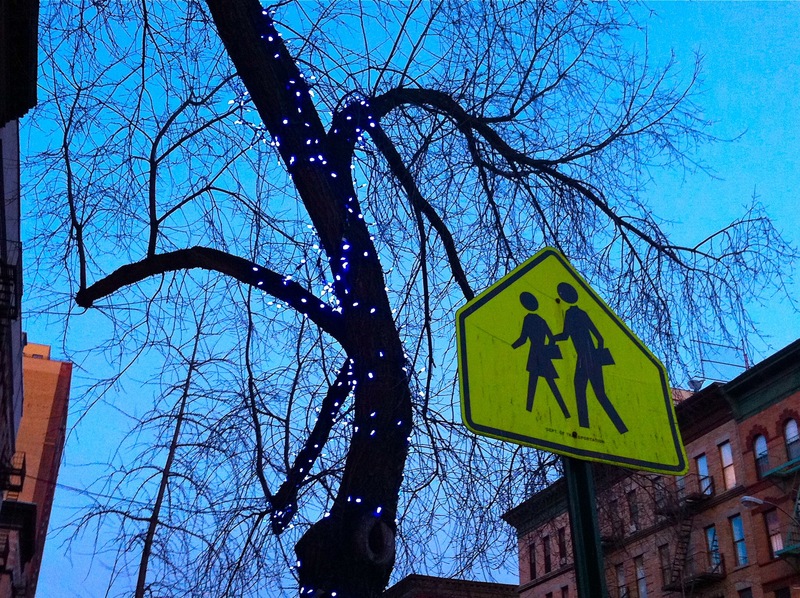 I love lights on trees. Question: What is this sign? Business people walking? Dad taking daughter to school? 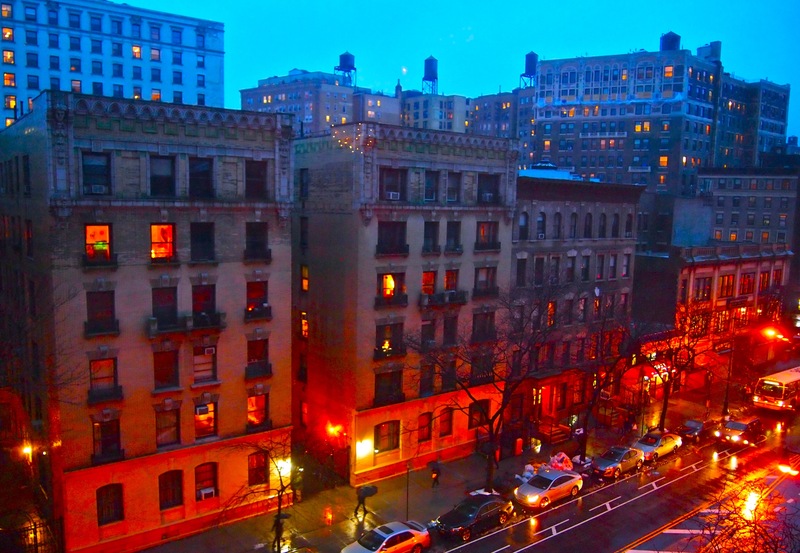 Amsterdam and 106th Street. 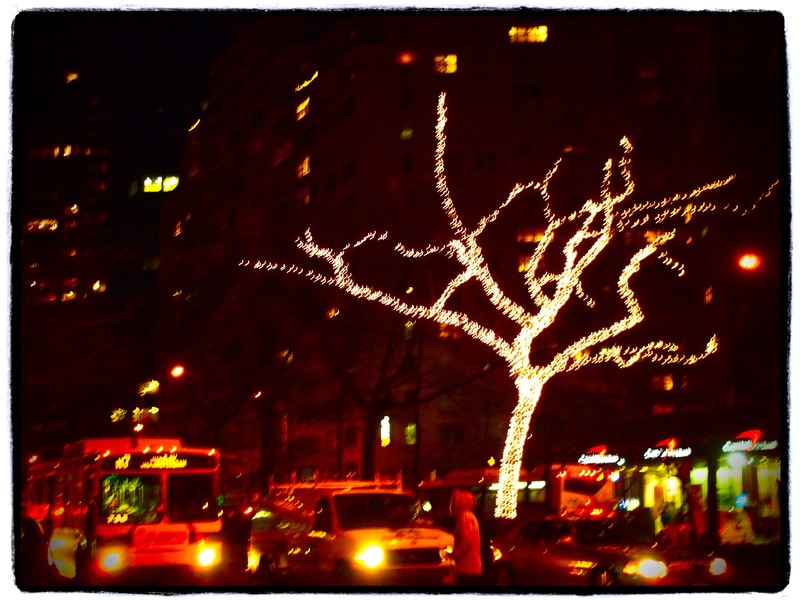 Lit tree on a Saturday night, Broadway at 70th Street. 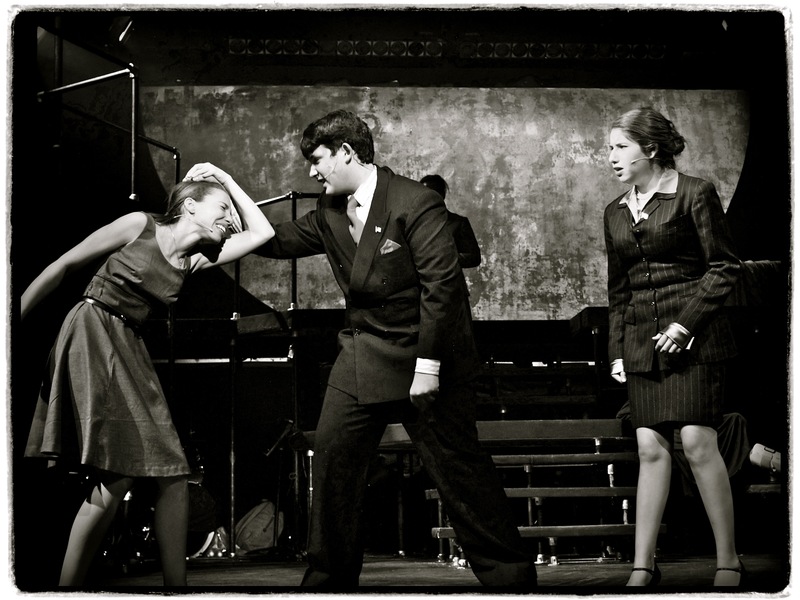 Romeo and Juliet, a musical. Capulet loses because Juliet doesn’t want to marry Paris. 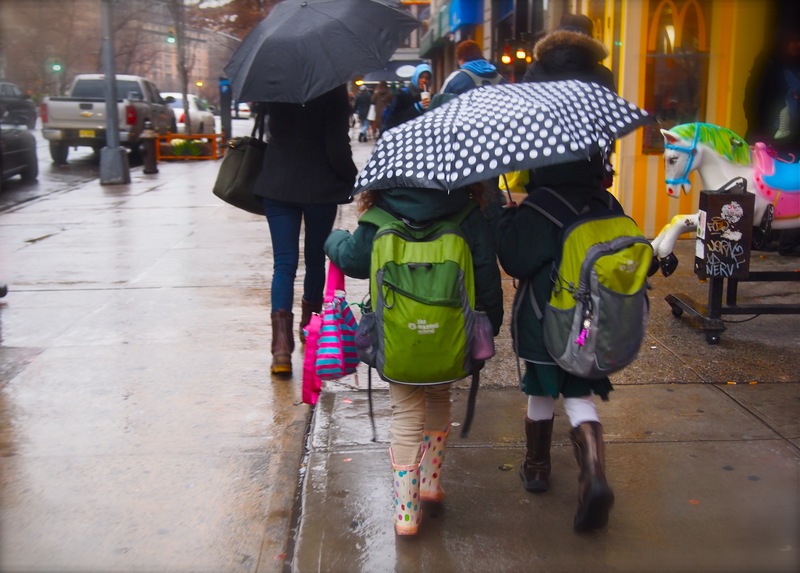 Rainy walk home from school, Broadway. 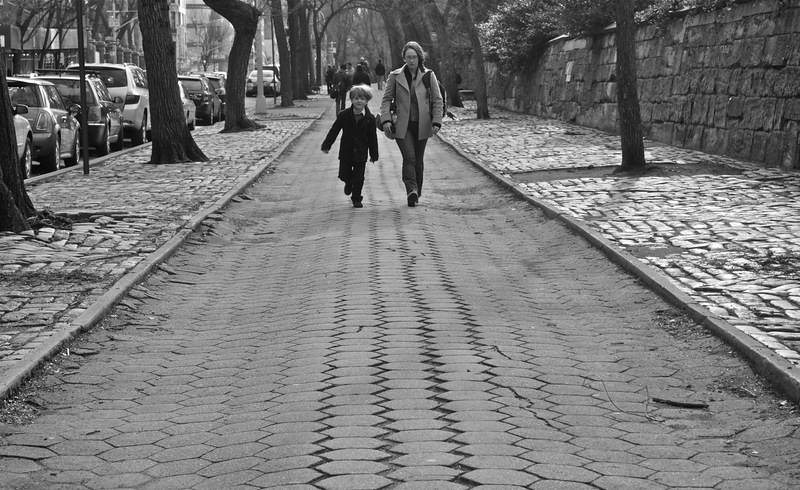 Skipping up 5th Avenue after school. Day 118: Waiting for a friend. 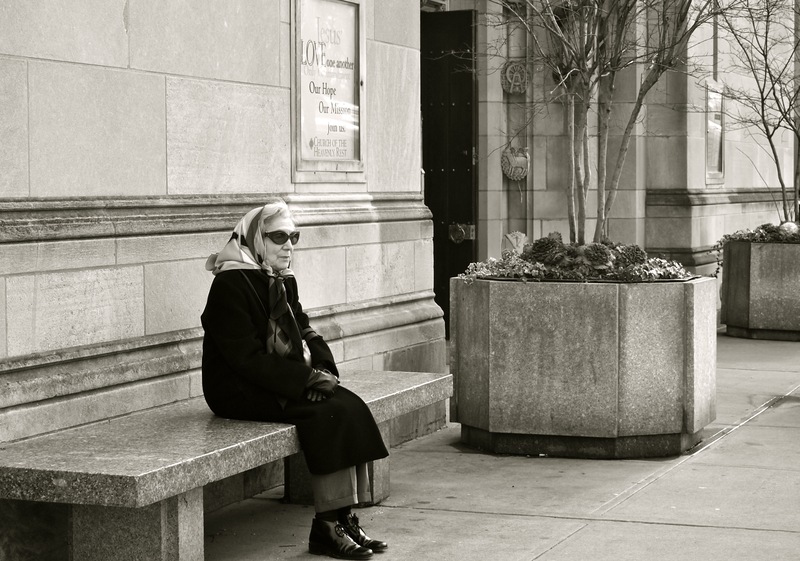 Woman sitting on bench outside the Church of the Heavenly Rest of 5th Avenue. Rain this evening from the dining room. 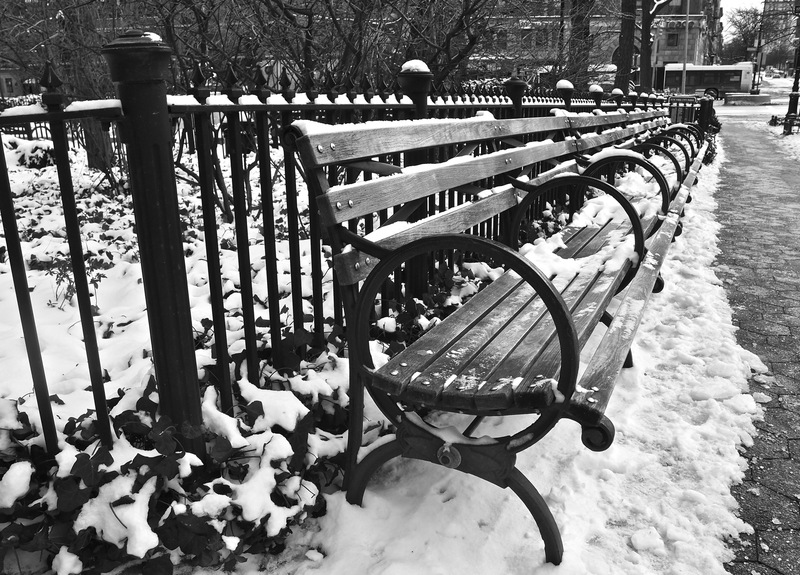 Snowy bench at Straus Park. 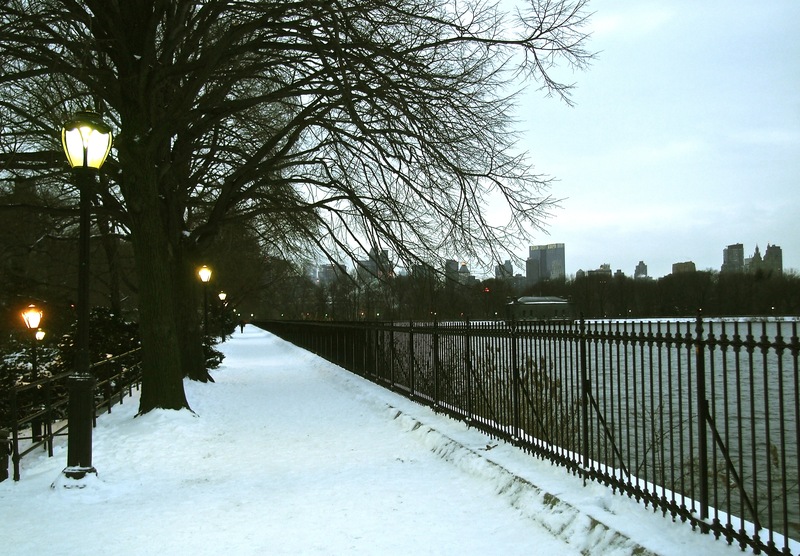 Central Park Reservoir looking south.